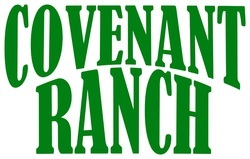 Welcome to the website of Covenant Ranch, SonRise Adventures Youth Sportsman & Bowhunter Camp, and IRONMAN Fellowship! SonRise Adventures Youth Sportsman & Bowhunter Camp! Thank you for visiting our website, we hope you visit it often and find it helpful! If we can assist you in any way, please feel free to contact us any time.